American oil corporations secured agreements with Arab countries and created the largest oil cartels in the world. The oil cartel partnerships have caused the infiltration of Muslim Brotherhood operatives into government departments and agencies during the Bush-Obama presidencies. As a result, the Arab-American oil cartels created an insidious collusion between large corporations, government and Arab leaders, which have compromised American foreign policy, economic and military decisions, and emboldened Islamic terror attacks. Today, the security of U.S. citizens is weak and the spread of Islam has caused the immigration of millions of Muslims into many countries, which has affected their culture, laws and values. Islamic operatives obtained high level Government positions during the presidencies of George Bush and Barack Obama, which includes the years from January 20, 2001 to January 20, 2017. To correct the poor performance and leadership of these two presidents, President Donald J. Trump has promised the American people that he will “drain the swamp”. On October 22, 2016 in Gettysburg, PA, President Donald Trump listed six measures to drain the swamp by cleaning up corruption and special interests in Washington, DC. They are listed below. What is missing was an initiative to remove Muslim operatives in government that were associated with the Muslim Brotherhood. We will examine why the additional Trump initiative is required by surfacing how Muslims have infiltrated into strategic U.S. government departments and agencies. One reason is that presidents Bush and Obama have promoted and facilitated efforts for Americans to accept Muslims in spite of the many Islamic terror attacks against the United States. Another reason is the ownership of oil cartels by Arab-American business corporations. These two reasons will be presented in Parts 1 and 2 of this article. Part 1. Islamic Terror Attacks Prior to and During the Bush-Obama Presidencies. Islamic Terror Attacks Prior to the Bush Presidency. Below is a brief list of Islamic terror attacks prior to their presidencies to indicate that they had to be aware of the Islamic hatred and violence against Americans. Following is a fatwa by Islamic Jihad Leaders to kill Americans and their allies so that there is no excuse of ignorance by the former presidents of the Islamic threat. 1979, Islamic terrorists in Tehran overtook the U.S. Embassy and took 66 Americans hostage. 1983, a bomb on the US Embassy in Lebanon killed 83 people and a CIA Director injuring 120 others. 1983, in Lebanon, Islamic suicide terrorists used trucks to bomb a US Marine Headquarters killing 242 marines and seriously injured 82, the second truck killed 58 paratroopers in a French compound. 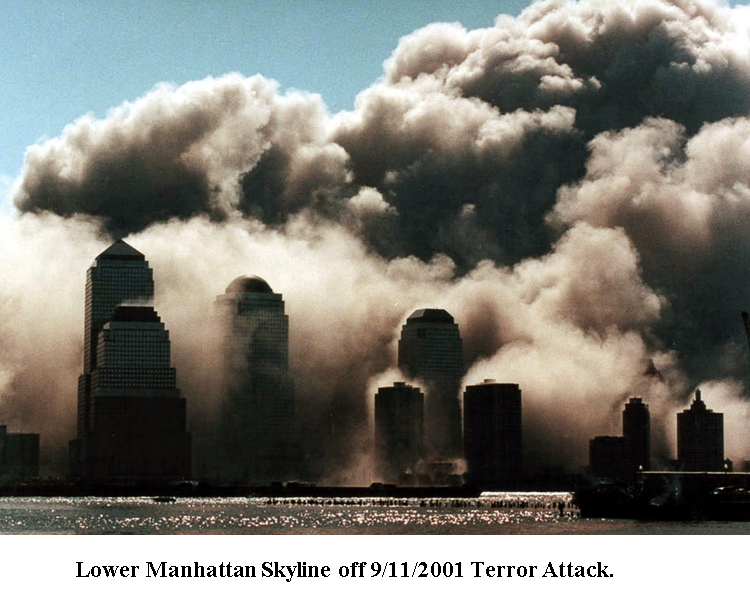 1993, at the World Trade Center in New York, a massive bomb by Islamic terrorists left 6 people dead and 1,042 injured. Islamic Fatwa to all Muslims to Kill Americans and their Allies. In spite of this fatwa announced to all Muslims in 1998 and the occurrence of Islamic terror attacks prior to their terms as presidents of the United States, Bush and Obama made it a policy to convince Americans to accept Islam by holding annual White House Iftar ceremonies to honor Muslims. This ceremony included dinner to celebrate the Muslim month of Ramadan. Reasonable questions that surface is why did they honor Muslims yearly during their presidency knowing full well of the terror attacks and a fatwa issued to all Muslims to kill Americans and their allies? What caused these Presidents to be passive in response the Islamic terror attacks during their presidency? What Americans need to question and think about is why were there annual ceremonies to honor Muslims when throughout the world Islamic terrorists have caused millions of deaths and even took the lives of thousands of Americans? Is there an economical incentive by big corporations and governments to overlook the Islamic threat to America? Is there a hidden motivation unknown to the public that can be responsible for United States Presidents to tolerate killings of Americans at home and abroad? This question will be revisited in the second half of this article. It is incomprehensible that presidents Bush and Obama honored Muslims at annual White House ceremonies during their presidency after many terror attacks were committed. The terror attacks were so devastating that other presidents would have, if not declared war, at least warned the parent country who harbored, supported and trained terrorists that if another attack occurs it will be cause for war. But these presidents did not issue such a warning of war against the offending Islamic countries to halt any further terror attacks. Why? Let us review some of the devastating attacks that both President Bush and President Obama tolerated, during their presidency, by not retaliating against the Islamic parent country with even a warning of reprisal. Islamic Terror Attacks During the Bush-Obama Presidencies. Oct. 12, 2000 – U.S.S. Cole Suicide Attack (guided-missile destroyer). A suicide boat with Islamic terrorists exploded next to the destroyer blowing a hole 40 feet in diameter, killing 17 American sailors and injuring 39. Sept. 11, 2001 – World Trade Center and the Pentagon. Coordinated by the Islamic terrorist group al-Qaeda, the attack was made with four hijacked commercial airliners. Two planes crashed into the twin towers of the World Trade Center in New York, the third plane crashed into the Pentagon in Arlington, Virginia, and the fourth plane, targeted for Washington, D.C. crashed into a field in Shanksville, Pennsylvania. The number of people that were killed totaled 2,996, which includes 227 civilians and 19 hijackers aboard the four planes. It was also the deadliest incident for firefighters and for law enforcement officers in the history of the United States, with 343 and 72 killed respectively. Including the deaths of law enforcement and firefighters, the number of Americans that lost their lives totaled 3,411. In addition to Americans killed, almost 5,000 were injured, 500 rescue workers developed respiratory ailments, 7 buildings collapsed in NY plus 23 were damaged, and 4 subway stations required repair. It is to be noted that more Americans were killed on 9/11 than the total at Pearl Harbor, which started WWII. These deaths exceeded the death toll of 2,403 military men that died in the sneak attack by Japan, which caused President Franklin Delano Roosevelt to declare an act of war. Could it be that the mutual interests in oil cartels by corporate and Arab business leaders affected the political and military decision to declare war on the Islamic country that harbored, trained, and supported the terrorist extremists? It is to be noted that of the 19 terrorists, 15 were Saudi Arabian. Feb 16-Oct 24, 2002 – Beltway Sniper Terror Attack by Muslim followers resulted in 17 deaths in Maryland, Virginia, and Washington, D.C.
Nov 5, 2009 – Fort Hood, Texas Mass Shootings. At a U.S. military installation was the worst mass murder in America. The deadly assault was carried out by Major Nidal Malik Hasan, an Army psychiatrist who killed 13 people and wounded 32, nearly all of them unarmed soldiers. Apr 15, 2013 – Boston Marathon Terror Attack. Bombs exploded by Tamerlan Tsarnaev and his younger brother, Dzhokhar Tsarnaev, resulted in 3 deaths and 264 injured. They were indoctrinated with Islamic beliefs. July 16, 2015 – Terror Attack on Military Facilities in Chattanooga, Tennessee. Islamic terrorist Muhammad Youssef Abdulazeez killed five in a shooting attack on a military facility and recruiting center. Dec 2, 2015 – San Bernardino Elementary School Attack, California. Syed Rizwan Farook, born in the United States and his wife Tashfeen Malik killed 14 people and injured 22 others in an elementary school that held social services. The question begs to be answered as to why were Presidents Bush and Obama trying to convince Americans that Muslims should be honored annually at the White House where they praised Muslims for their contributions to building America? History confirms that Islam has never been an agent of peace nor have Muslims contributed to the building of America. To gain a true understanding of the history of Islam and what is written in the Qur’an, it is incumbent that people read Allah, We, Our and Us. It is available on the Internet via http://iranpoliticsclub.net/authors/nicholas-ginex/index.htm . To nullify the threat of Islam to America and try to induce Americans to accept Muslims, President Bush on December 17, 2001, in the Diplomatic Reception Room, spoke the following words on the Islamic holiday Eid al-Fitr. It is admirable for President Bush to try to eliminate the fears of Islamic terrorism in America and to have Islam regarded as one of the great faiths equal to Judaism and Christianity. But why only praise and honor Muslims when it was the many immigrants from Europe that built America and not Muslims from Arab countries? Why would President Bush deliver a distortion of history to the American people? To not offend Muslims, Obama in his eight years as President never identified the terror attacks as being Islamic terrorism. It is true Obama authorized the successful killing of Osama bin-Laden, but this is only one man who was committed to the destruction of America and its allies. Killing one person does not mean, in any sense, victory over the Islamic threat. Yet, this was Obama’s continuous mantra to the American public in his effort to insure its citizens that he has effectively responded to Islamic terrorism. Few people are aware that Obama was born a Muslim in Kenya, indoctrinated in the Qur’an as a young boy, and raised in Indonesia and Hawaii where he acquired a love for Muslims and Islamic beliefs. For a documented perspective of Obama, his allegiance to Islam and his poor response to the deaths of four Americans in Benghazi, read Obama Islam and Benghazi. It is obtainable on the Internet via the link above for Allah, We, Our and Us. These are the words of an Islamic political leader that threatens the future of those who slander the Islamic prophet. It is poor judgement by President Obama to defend the Islamic religion and their prophet Muhammad after experiencing many terror attacks during his presidency. It is clear that Obama lacked a history of Islam, or was so indoctrinated as a young boy, that his ability to reason effectively for America was compromised. To validate Obama’s efforts to populate Muslims into his administration, below are several government representatives that have had ties with the Muslim Brotherhood. Keith Ellison – Spoke at a convention associated with The Islamic Circle of North America, a part of the U.S. Muslim Brotherhood. Valerie Jarrett – who has had multiple close ties the Muslim Brotherhood and many Communist and extremist groups. It becomes evident that presidents Bush and Obama had a mission to have Americans accept an Islamic ideology and accept many Muslims living in the United States. But why, after Islamic terror attacks (listed above) killed many Americans at home and abroad did these Presidents continue to honor Muslims and support thousands more to immigrate into America? There is an answer that the multi-media, our government, and large corporations kept secret, and that may be the huge profits made by American and Arabic oil cartels compromised effective leadership to combat Islamic extremism. Let us review the entanglements of governments and large corporations that have altered the politics, economics and military decisions in America due to the vast amount of money obtained through the production and sale of oil. American-British oil corporations secured agreements with Arab countries that created the first and largest oil cartels in the world. The oil cartel partnerships have caused the infiltration of Muslim organizations into the White house over several administrations. Under the Bush and Obama administrations, as indicated at the start of this article, many Muslims associated with the Muslim Brotherhood were appointed into high level government departments and agencies. As early 1920, Britain had secured an agreement with the Sheikdom of Kuwait that its oil development would be entrusted only to British subjects; a similar agreement had also been signed with the Arab country Bahrain. In August 1921, the American Petroleum Institute (API) was given permission to perform preliminary geological surveys in Iraq, which included Exxon, Texaco, Gulf, Atlantic Refining, Sinclair, and the Standard Oil Company of Indiana. The “Big Oil” company that likely springs first to mind is ExxonMobil. But in reality, there are far bigger players than Exxon. More than 70% of world oil reserves and an even greater percentage of the remaining reserves of “easy oil” are held by national oil companies controlled by kings and potentates, such as Saudi Arabia. Table 1 lists Arab companies have controlled the production of oil as early as the 1920’s and have shared ownership with American and British oil companies through 1943. Presently, there have been changes in the extent of ownership of these oil companies. However, Arab companies reap profits from the sale of oil, whereby American dollars subsidize their economies and finance their hidden agenda to infiltrate America and have Islam support terrorism with an end objective to dominate the world. 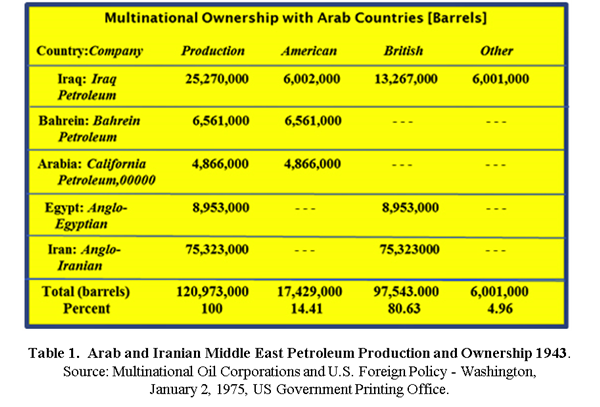 Table 1 reveals that of the total number of barrels, the Arab countries of Iraq, Arabia, Egypt, Bahrain (a small island country near the western shore of the Persian Gulf.) and Iran control a large amount of oil with international “big” businesses such as Britain and the United States. In 1943, the British controlled 80.63% of Middle East oil production as compared with 14.41% under American control. The close oil cartel business association between Britain and Arab countries answers why England has been amenable to an open-door policy for Muslims. Today, to their detriment, England is experiencing a rise in crime and many of their communities have been taken over by Muslim values. So much so that they have No-Go cells or Muslim communities where the British police are afraid to enter and are unable to stop the implementation of Sharia law. Britain’s schools have become dominated with the teachings of Islam. With Obama in the White House, he welcomed Muslim immigrants into America with the policy of “political correctness” and by claiming that is “who Americans are”, he presumes Americans are willing to accept more Muslims. But does Obama speak for the Muslims or the American people when their safety and economic viability is compromised? For a detailed history of the Arabic and America-British oil cartel associations that caused business interrelationships that affected the American presidencies, refer to the article, Arab and American-British Oil Cartels by going to http://iranpoliticsclub.net/politics/arab-cartels/index.htm. 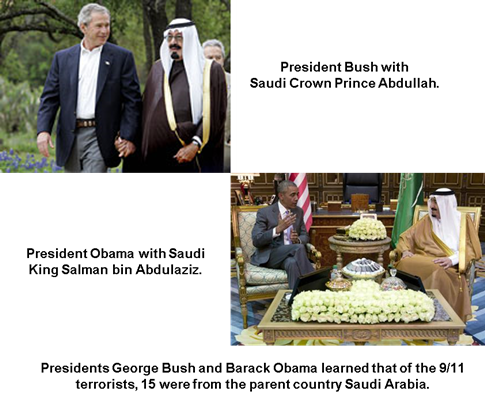 The business relationship between Arab and American leaders partly answers why presidents Bush and Obama have not effectively responded to the killing of American lives by Muslim terrorist organizations. Financial donations from Arab countries during their presidential campaigns opened the doors to have Muslims assimilate into America. Muslims were assigned many White House positions, which may have compromised U.S. presidents to forcefully respond against Islamic terrorist attacks. It becomes evident that the interrelationships between Arab and American-British oil cartels prior to and during the Bush-Obama presidencies have influenced American politics whereby the U.S. ability to react against Islamic threats to its security had been compromised. America’s poor response to the Islamic terror threats was partly due to the business relationships and profit-making oil dollars obtained by large American and Arab corporations. As a result of the massive influx of Arab dollars into American politics and its economy, presidents Bush and Obama promoted the appointments of Muslim operatives into many U.S. government departments and agencies. To induce Americans to accept Muslims, presidents Bush and Obama honored Muslim officials at yearly ceremonial White House dinners and praised Muslims as contributors to the building of America. President Obama believed in transforming the United States by providing executive orders to increase Muslim immigration into the United States. It is incumbent for the Trump administration to add an important initiative to his drain the swamp efforts. He must make it a priority to assess the extent of Islamic infiltration into government intelligence agencies and departments responsible for national security, and fire those Muslim operatives who have had allegiances with the Muslim Brotherhood. Hi Nicholas, It’s always good to hear from you and thank you for staying in touch. Let me add something I learned as a child (back at the age of 12 years old)!!! FACT: Government is always about sustaining the system of governing and people are the disposable by-product utilized to finance it’s sustainability. Just kidding. This is and will always be the case because people refuse to wake up to reality. To the vast majority reality is a terrifying realism.